After a fantastic start to his professional golf career with two majors in the bag, child prodigy and golf superstar Rory McIlroy suddenly hit a wall. His successes thinned out and he started to slide down the world rankings. Rory was making more headlines off the course and on the front pages of the tabloids after a legal dispute with his former management team Horizon; the constant press speculation as to whether he would represent Great Britain or Ireland in the Olympics; and his on-off relationship with Caroline Wozniacki, which led to a New Years Eve engagement in Australia and then the sudden shock split as wedding invitations were being prepared. 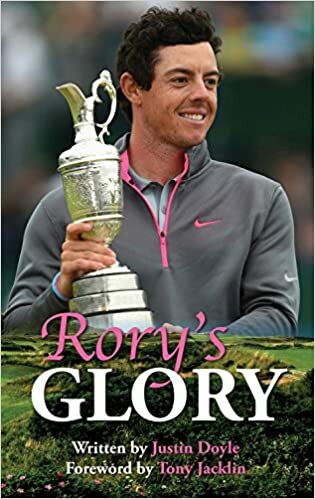 Then, after all the traumas, came a double triumph in the summer in 2014 which Rory personally described as "an unbelievable summer and the greatest golf of my life." Two more majors followed in just four weeks - The British Open and the USPGA - which put Rory in putting distance of becoming only the sixth man in history to win Golf's Grand Slam as he looks to add the illusive US Masters to his resume.